March 19, 1928: Frances (Judy) and her sisters performed at a dinner for the Devine Family, held at the Gumm home in Lancaster, California. March 19, 1932: The first of a three-night engagement for Frances (Judy) at the Cocoanut Grove “Tea Dance” at the Ambassador Hotel in Los Angeles, California, with Jimmie Grier and his Orchestra. This is the second known appearance by Judy at the Cocoanut Grove. 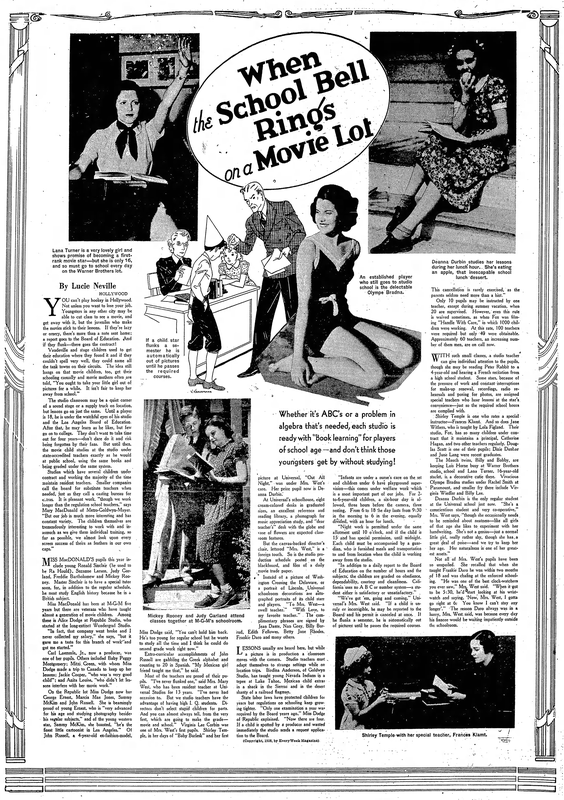 March 19, 1938: “When the School Bell Rings on a Movie Lot.” This article reported on how kids on movie lots went to school. Judy was, of course, one of the featured kid stars. 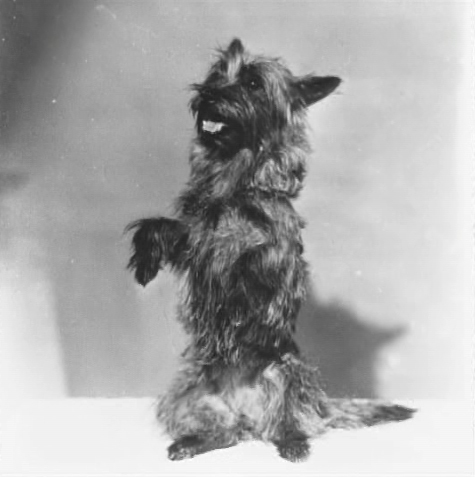 March 19, 1939: Terry, the Cairn Terrier who played “Toto” in The Wizard of Oz had a career of her how outside of the film. 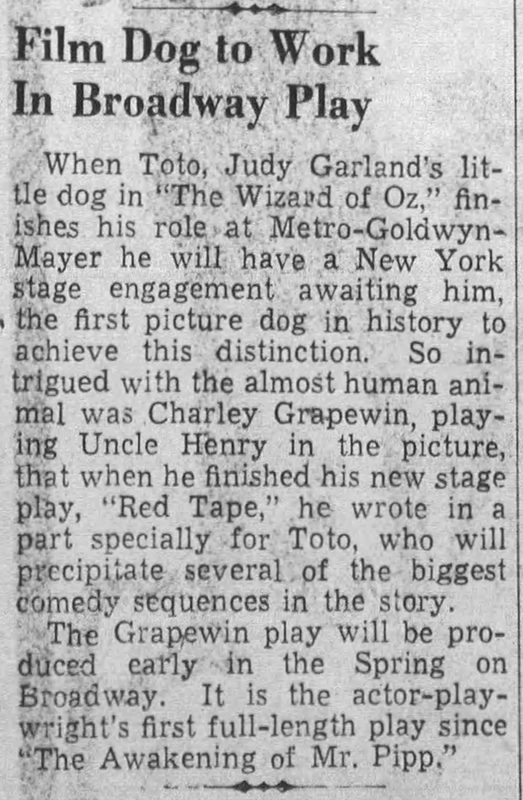 This blurb claims that “Uncle Henry,” Charley Grapewin, wrote a part for Terry in his new stage play. It’s unknown how much of this is true but what is true is that Terry did have her own career and was in several films. 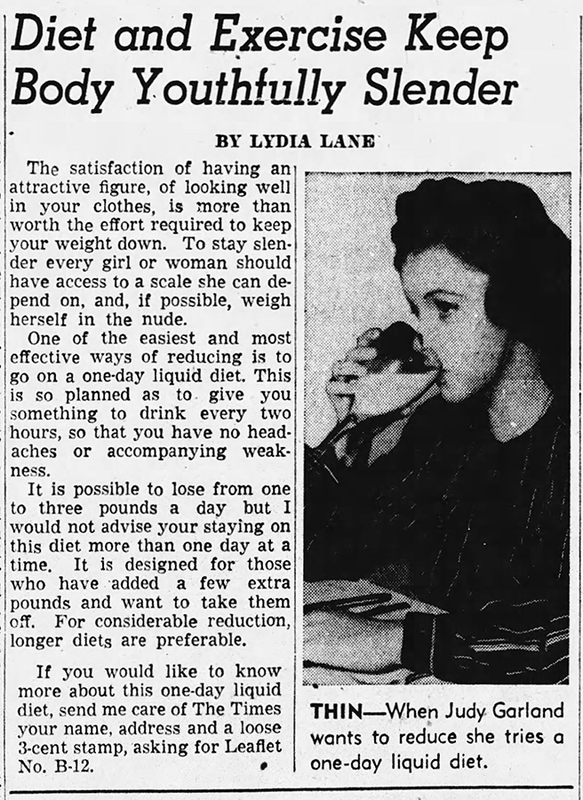 March 19, 1942: Here’s Judy, drinking milk which, according to Lydia Lane, was part of a one-day liquid diet she used to lose weight. Ah, those ever-busy studio publicity folks struck again! 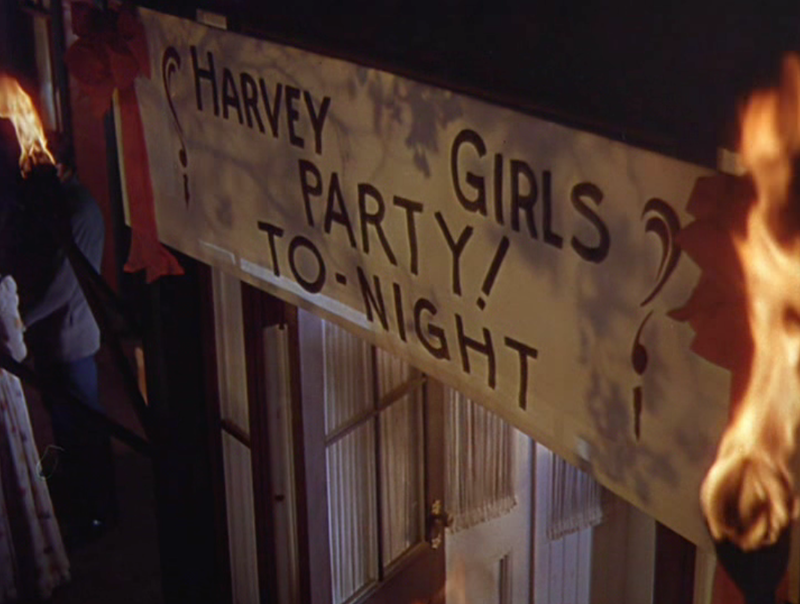 March 19, 1945: Filming on The Harvey Girls continued with scenes shot on the “Interior Harvey House Party” set. 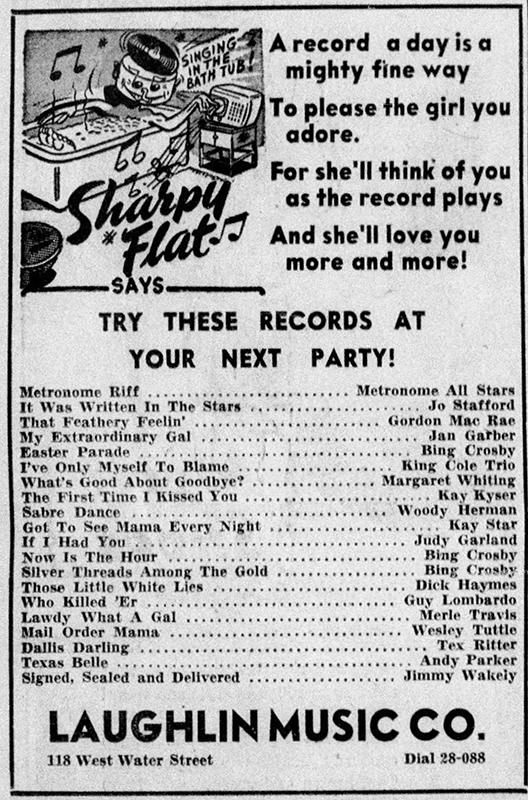 Time called: 1:00 p.m.; dismissed: 4:30 p.m.
March 19, 1948: Here’s another fun Decca Records ad, this time promoting Judy’s recording of “If I Had You” which she recorded with The Merry Macs on July 7, 1945, which on her honeymoon in New York City with Vincente Minnelli. Check out The Judy Garland Online Discography’s Decca Records Section for more information about all of Judy’s Decca recordings. March 19, 1961: These photos were taken on the set of Judgment at Nuremberg. 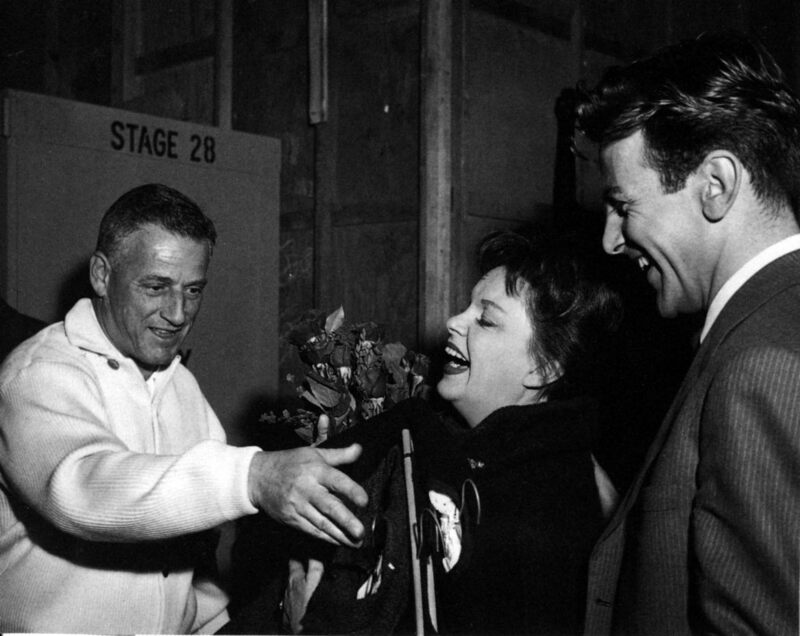 Judy is seen with Spencer Tracy, Stanley Kramer (the film’s director), and Maximillian Schell. March 19, 1963: “Judy Garland and Her Guests Phil Silvers and Robert Goulet” premiered on CBS-TV, airing from 8:30 – 9:30 p.m. The show had been taped from January 30 through February 3, 1963. 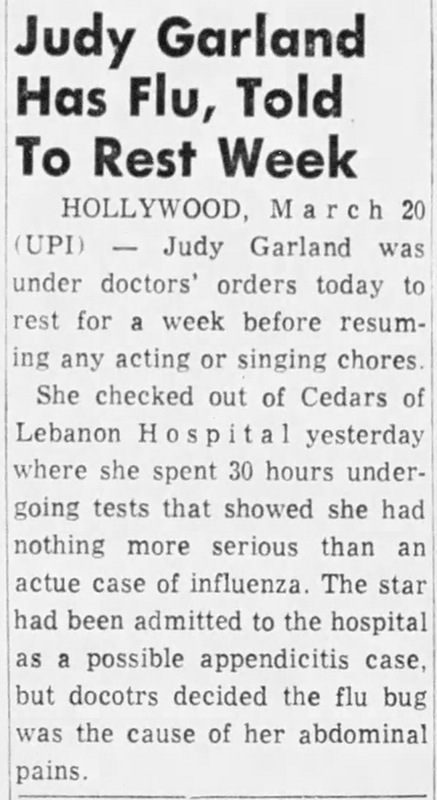 March 19, 1963: Here are some press clippings regarding the “Judy Garland and Her Guests Phil Silvers and Robert Goulet” CBS-TV special which premiered on this night from 8:30 – 9:30 p.m. The show had been taped from January 30 through February 3, 1963. 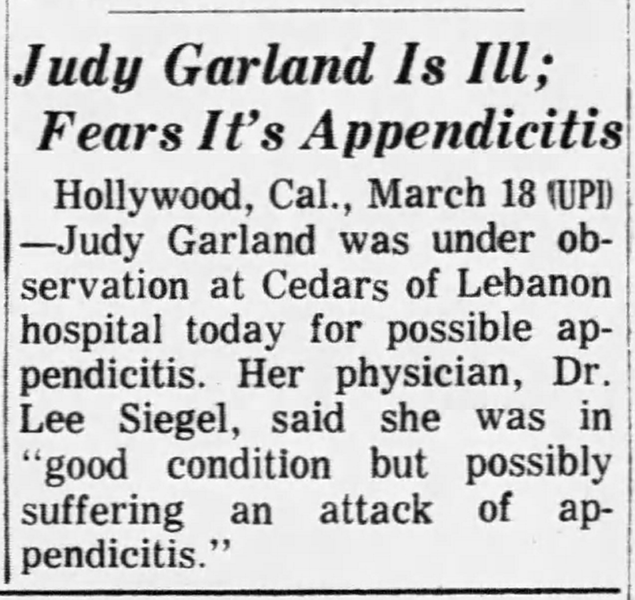 March 19, 1964: Judy was rushed to Cedars of Lebanon Hospital, apparently suffering from an attack of appendicitis, according to her physician, Dr. Lee Siegel. She was released the next day. 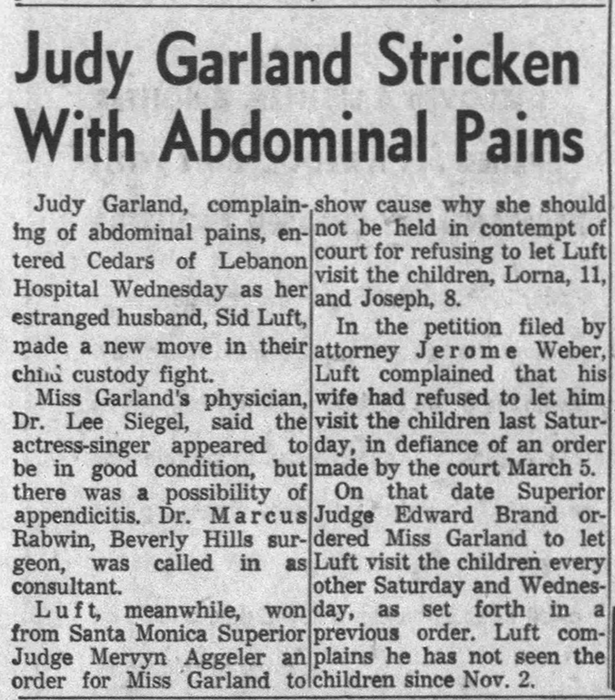 It turned out she did not have appendicitis but abdominal pains caused by a flu bug. She was ordered to rest a week before resuming any acting or singing. 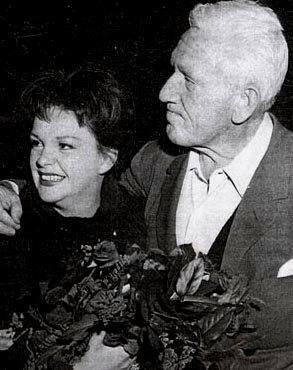 March 19, 1969: Judy opened in Stockholm, Sweden. Johnnie Ray opened for her. The show was a huge success. Judy received a standing ovation that lasted 10 minutes! Mickey Deans allegedly caught unauthorized professional recording equipment in the audio booth so he opened up the audio levels, ruining the recording. Once again a beautiful and informative post on your endlessly enjoyable blog, Scott! 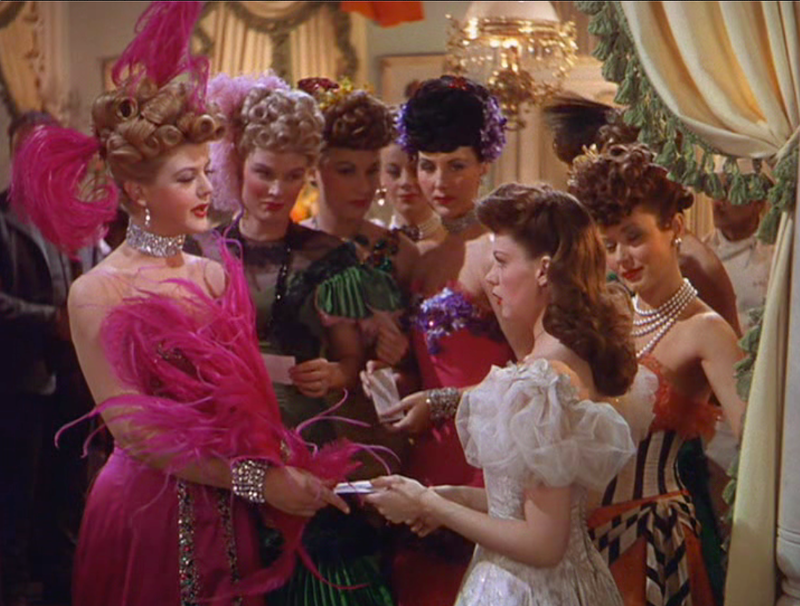 Must say I think Judy was drop-dead gorgeous in that white dress in “The Harvey Girls”! Just now checked out the Spotlight page on “Ziegfeld Girl,” which was as spectacular as the movie itself. Would offer one correction: That was Judy’s one and only movie produced by Pandro Berman (who produced many wonderful films for MGM and, earlier, RKO) . 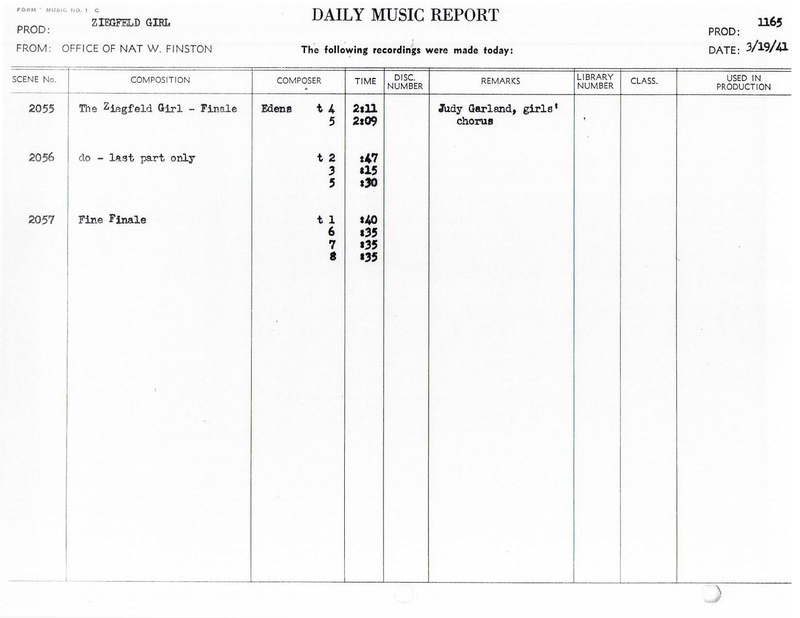 . . the page currently lists Arthur Freed as the producer.